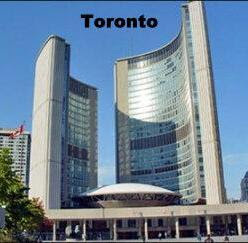 Don't get me wrong, I adore Toronto but, why compare? Mississauga is it's own distinct city. People choose to live here for many reasons. Recently I was paid a visit by an artist from Toronto. He commented several times about how dead quiet it all seemed. It wasn't peculiar to me that at 10:30 am on Monday that it wasn't a bustle of activity. 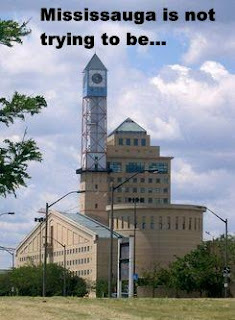 He spoke about Mississauga as if it were an oddity for one coming from far off Toronto. My answer is that Mississauga shouldn't be measured by the same criteria as Toronto. I don't measure Toronto's success as a city by what it lacks in comparison to Mississauga. One valid question he did pose was "why is it so hard to get anything going?". He was referring to the momentum, energy and attendance excitement behind successful festivals and events. I think Mississauga hasn't created an atmosphere/culture for such events yet. However, there are definitely many people trying! What do you think? Why isn't there more momentum for public events, festivals, film, performance? Have you organized or, are organizing something here in Mississauga. How's it going?